In 2005, the Dave Eggers-helmed McSweeney’s media empire was expanded to encompass lens-based media, yielding the eclectic quarterly DVD magazine Wholphin. Since then, the series has established itself as the filmic equivalent of a cabinet of curiosities for the modern age, shining a light on brilliant shorts that are too often screened at festivals, and then lost in the ether. Editions of the magazine include films that vary in category from experimental to narrative to documentary—as well as in the ill-defined spaces between. In deference to Stranger Than Fiction’s ongoing quest for truth, Wholphin curator Brent Hoff brought with him a group of short documentary films whose unifying theme seemed to be a lack thereof. But the scattershot nature of the films’ forms and topics ending up serving as a varied showcase of the elastic nature of non-fiction cinematic storytelling. Among other films, the eccentricities of an amateur chiropterist and his mother are artfully shared in the Slovenian short Arsy Varsy, while Here Comes Greatness examines a fascinating manifestation of the ennui suffered by suburban kids in Southern California. Wholphin makes one glad that someone out there is attempting to redress the short shrift given to short films. Stranger Than Fiction Artistic Director Thom Powers and Hoff gave short introductions to the films, and a Q&A followed the program. Click “Read more” below. Stranger Than Fiction: How many people here don’t really know what Wholphin is? 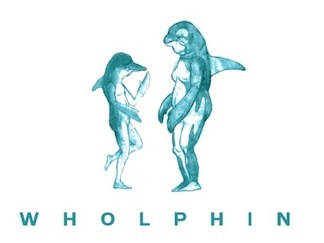 Brent Hoff: Wholphin is put out by McSweeney’s. It’s a DVD magazine of short films, basically its the film version of McSweeney’s. We find the most interesting films that we can and put them out because there’s not really any other organized space in which to see them. We go to festivals around the world, people send us stuff. For the first issue, I received a brown paper bag from Turkey which contained the Turkish version of The Jeffersons. We resubtitled that, then had writers like Dan Handler (a.k.a Lemony Snicket) rewrite it because we didn’t speak Turkish and had no idea what they were saying, then put that out. It’s sort of an eclectic mix of a bunch of weird things and usually very entertaining. When I looked at what we’re screening tonight, I realized that pretty much every film is about a really weird dude. That’s just totally accidental, we don’t do themes. We do a lot of narratives by well-known and completely unknown filmmakers as well. But tonight we’re showing you just the doc selections. STF: There’s a lot of unexpected surprises. Tonight’s selection concentrates more on work you probably haven’t heard of before. Hoff: Yeah, a lot of newer things. The first film was found at [the International Documentary Film Festival Amsterdam] called Arsy Varsy, which is just a beautiful, cathartic thing that makes you glad to be a human. I hope you guys like it. Hoff: That was a really hard film for us to get, it was a Slovenian filmmaker. It was done as a school project. We contacted them and asked them if we could get it from them. They were just like, all these festivals, and all of these people wanting to see this film, it’s already been seen enough. We were like, we’re going to distribute it in the United States, and they were like, whatever. They didn’t care at all. I really love that film. STF: Did you meet any of the filmmakers? Hoff: No, that’s the other thing about doing this. No one speaks any English, at all. There was a little bit of writing, and they found someone to translate our e-mails. It was a really convoluted process. I would love to meet the guy, I want to hang out with him and go bat hunting. His mom is just so sweet. STF: Now we’ve got four films. Hoff: A lot of quicker films. The first one is a setup for the second one. A lot of people have probably seen Dock Ellis & the LSD No-No? I’m always surprised how few people have seen it. You guys are in for a freaking treat, this is an amazing short film. And then the follow up is another film about the same subject, a pitcher, called Wolf Ticket. Then I Don’t Blame the Beautiful Game, followed by Wagah, a film from Pakistan. I guess you don’t see a lot of films from Pakistan these days. STF: Can you say anything more about those films, how you came across them or their makers? Hoff: I think from festivals. The first film had been sent around a lot, from the No Mas website. At the same time, another guy randomly sent us Wolf Ticket, he has like 400 hours of interviews with Dock. I’m sure it’s a tyranny of choice thing where you’re like, how do you put that into a single film? Every single line—”Of course I was high on dexamyl at the time.” I Don’t Blame the Beautiful Game came in a sort of surreptitious way. If you get the Wholphin that that’s in, there’s an interview with the filmmaker, but it’s kind of the cagiest interview ever because it’s a real story, and he can’t disclose the guy’s name or anything about it. Wagah, I think we saw it at Sundance. This next film is called Here Comes Greatness. It was sent to us and had never really been seen. We edited it down to this version. If you’re squeamish about blood at all, this might not be the film for you. It’s pretty bizarre. This is a film about underground backyard wrestling in San Diego. STF: You promised us things that we’d never seen before. Hoff: Right. You should know that that’s going on. STF: Anything more you can say about the makers of that film? I mean, where where the adults? Hoff: There was one news story—it wasn’t in the film—but some local news station, after the police had been called, came and saw this crazy homemade stuff. The filmmakers just started following them around. They just felt like they had to capture it, but they were obviously very conflicted about what they were doing. I should probably be more conflicted about showing it. I feel like it’s important to see. STF: Have there been reactions to having that out in the world? Hoff: I think it’s powerful in the way that it shows something about our culture. The fact that there’s this dude on a wooden stretcher and they’re trying to get the shot right before they stretcher him down. It’s sort of quintessentially American to me. STF: You thought Lord of the Flies was fiction. Audience: You said a couple of times that you’ve reedited material to shorten it, then put it out, how does that work? Hoff: They own it, we just ask if we can do a Wholphin cut specifically to us. We do it on pretty much every issue. There was a film American Outrage about the Shoshone Indians. That was a feature that had been shown at a lot of festivals. But still, I hadn’t seen it, and I go to a lot of festivals. I thought we should do a 30 minute cut to just get it out to more people. They ended up releasing that on their DVD. It’s very fluid. If we do a cut and they don’t like it, we don’t put it out. It’s entirely up to them, but so far everyone has been pretty happy with it. And it gives them another avenue, people are doing lots of different versions for lots of different markets. Audience: What percentage of films do you seek from filmmakers, versus what is submitted? Hoff: It’s changed, it used to be that we’d seek out most of the films. But more and more it’s getting closer to 50-50. We hear something about this crazy event that occurs at the Kashmiri border, and I will seek it out—someone has to have made a film about this, and indeed, someone has. STF: If people want to send you their short work how do they do that? Hoff: On our website there’s a whole thing about submissions guidelines. Send us whatever. No films about beards. We’ve seen like five different films—dudes made films about their beards, the growing of their beards. We could do a whole issue of people and their beard films. I don’t know what that’s about. You know what, send your beard films. Whatever. Audience: That last film [Here Comes Greatness] was made by professionals? Was that found footage? Hoff: Most of that was found footage and then the filmmakers did come in and do interviews after. You can sort of tell. Then they did an edit. Audience: Do you have to worry about releases when you distribute? Hoff: The filmmakers have to get releases for the most part. They establish that they get the rights. And we generally trust them that they’re telling us the truth. We try to do things by the book. STF: But other times you make bold decisions. You released the film The Power of Nightmares that other people didn’t want to touch. Hoff: Yes, there’ve been times when we were a little more loose. The Power of Nightmares is on our second, third and fourth issues, it’s a three-hour documentary by Adam Curtis that no one in the United States would touch because of its political content. I highly recommend seeing it, you can download it from archive.org if you don’t want to get the Wholphin issues. Audience: Can you talk about the economics of Wholphin? Is it fully funded through subscriptions? Hoff: Yeah, we’re subscription based. It works on a magazine business model, and we’re also in stores. We license the films, we pay the filmmakers, not an exorbitant amount, unfortunately. But we do pay, and pretty well. Audience: Do you ever get sequels from the same artist? Hoff: Whoa, Carson Mell, right? He’s actually been on three or four different Wholphins. There’s an animator named Carson Mell who does amazing work and we’ve put out some of his stuff. I’ll tell him he had a request. Audience: Are you seeing any other trends right now, whether it’s where the films are coming from regionally, or mediums? Is there anything coming out of specific places around the world, or ways in which people are shooting that you haven’t seen before? Hoff: One thing that’s really heartening is that for a long time you’d go to a documentary festival, or any festival, and all the films would be these finger-pointing things. Where films would be like, that’s bad, and those people are bad and they’re doing bad things to people. Which is totally find and a necessary journalistic function of documentaries. But if you look at a lot of the Wholphins, we’re finding a lot of the comedic uses of documentary. There are some hilarious stories, Dock Ellis is one example of that. I think Arsy Varsy is an interesting version of that too. It’s such an artfully made film. People are definitely approaching the process differently, setting things up more. We’re seeing a lot more of that out of filmmakers, especially in Europe, Australia and places that have funding entities in place to fund films. You get a lot higher production values out of places like that. Audience: Could you say anything more about the soccer film [I Don’t Blame the Beautiful Game]? Hoff: I definitely tried to find out that it’s real. To the best of my knowledge it was a real story. I don’t know anything more about it, because he couldn’t tell me anything more about it. Audience: So you just kind of took his word for it? Hoff: You’re damn straight. We’re not a journalistic entity. I was like, I don’t want to put this film on if it’s not a real film. I did a little due diligence on the filmmaker through people I know who knew him. I think it’s real. STF: Any previews of what’s to come on Wholphin, either documentaries or otherwise? Hoff: Documentary-wise one film I really hope to get for the next issue is a film called Quadrangle. I don’t even know if I want to tell you about it. The filmmaker grew up in a family that was a quadrangle. STF: An open marriage quadrangle. Hoff: It was a very real and thoughtful and intense one, and it was an amazing film. We’re doing some special issue release of Wholphin. Rough House—Danny McBride and those guys—came up to me at Sundance. We might do a special issue of Wholphin or a bonus disc with them. I’ve been trying to do a Choose Your Own Adventure disc for a while. Initially we were going to try to do this with Josh Brolin, but we might do it with Danny McBride. So you’ll be a big hairy man trying to stalk him—we’re working out the idea right now. We might do a James Franco special issue, and then a Joseph Gordon-Levitt special issue. We might dabble in features if the right one comes along too.